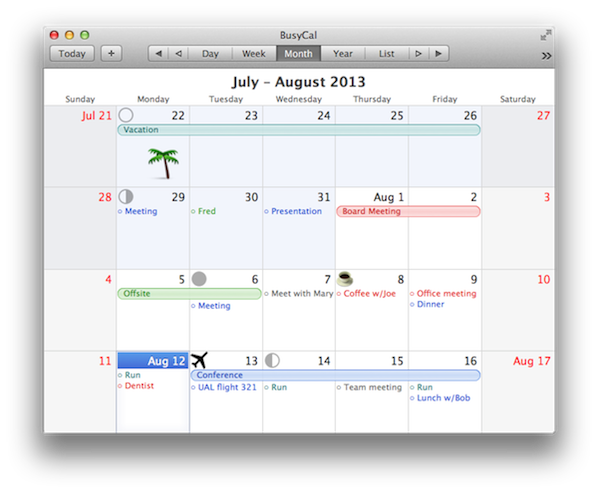 BusyCal 2 has many great features that make it stand out from the built-in Calendar app on OS X. 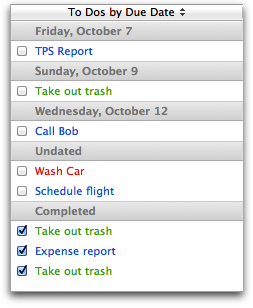 Here's a list of the top 10. 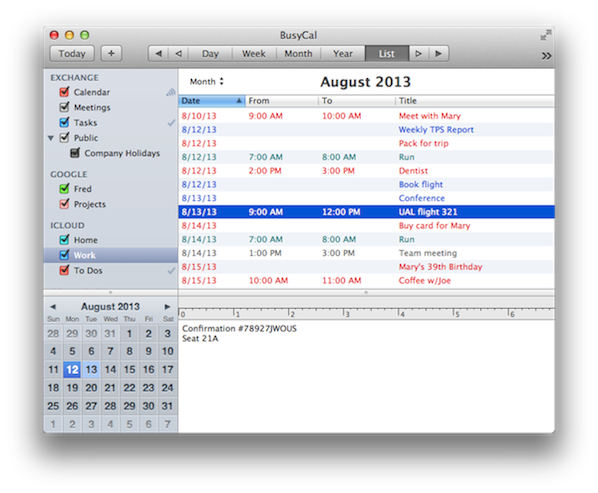 BusyCal syncs with iCloud, Exchange, Google Calendar, the iPhone, and other CalDAV Servers. 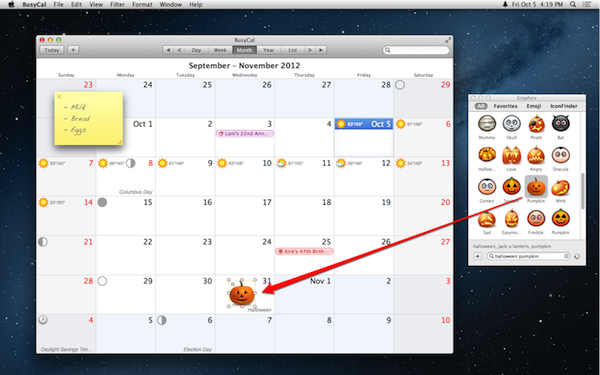 You can even share calendars with other BusyCal users on your local area network. 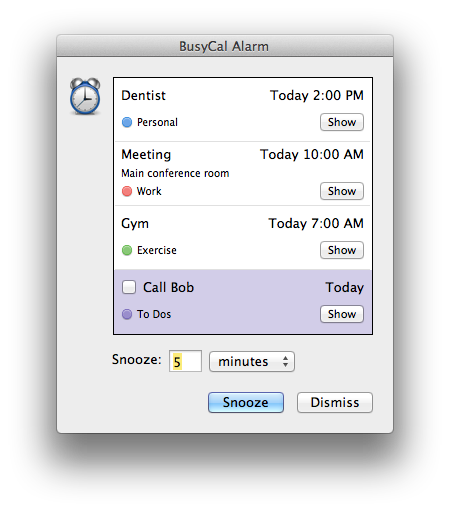 BusyCal is compatible with the Calendar app and Reminders app on OS X and iOS. 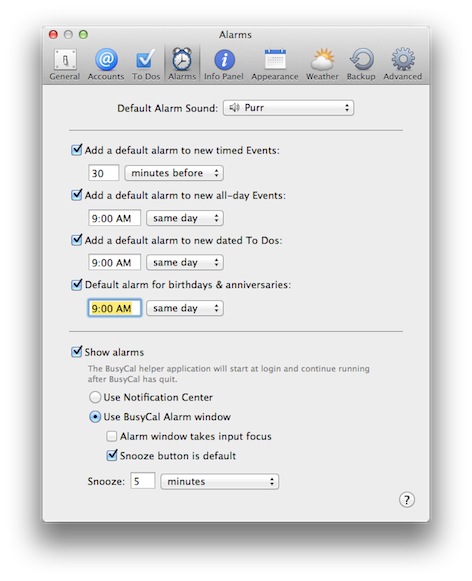 The first time you launch BusyCal it automatically imports your data from OS X Calendar and Reminders, so you can hit the ground running. 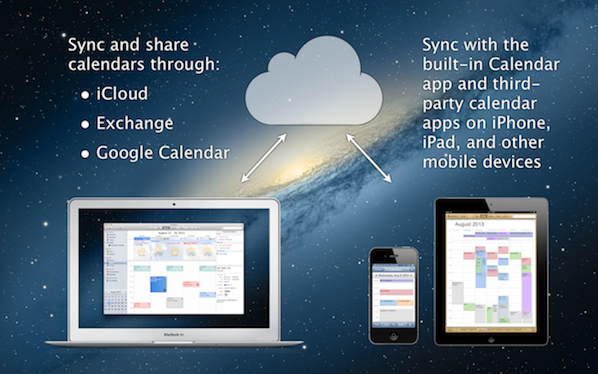 And your data will remain in sync between BusyCal and the built-in Calendar app on OS X and iOS when sycning through iCloud, Exchange or Google Calendar. 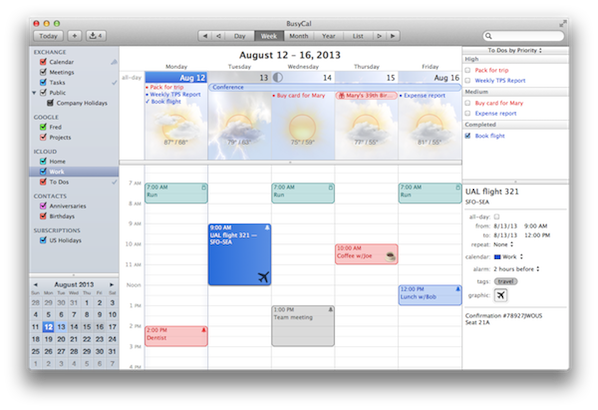 You can choose the number of weeks to show in the Month View (from 1-12 weeks), and scroll one month at a time or one week at a time. 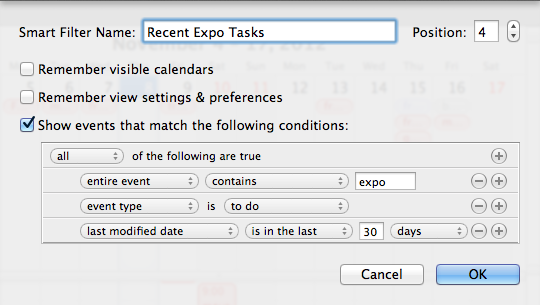 What's more, the cells in the month view will scroll if there are more events than currently visible. 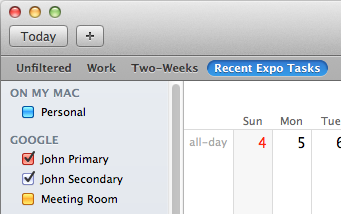 Similarly, you can choose the number of days to show in Week View (from 2-14 days) and scroll one day day at a time, or one week at a time. 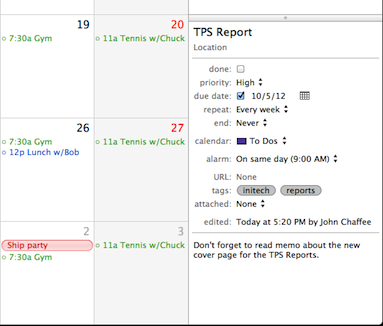 And there's lots more. 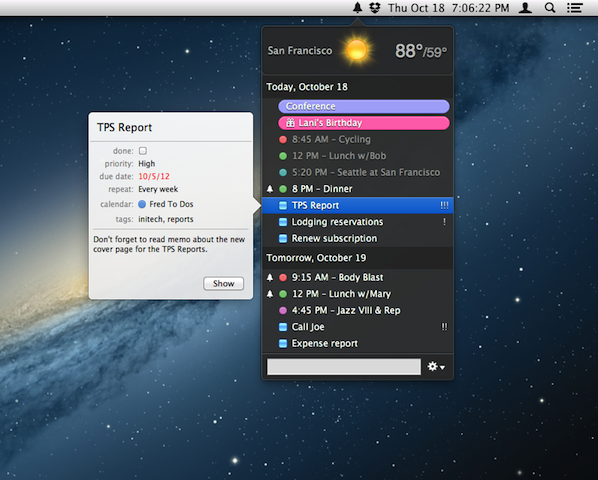 BusyCal includes dozens of other great features including calendar groups, search, tags, automatic backups, birthdays & anniversaries, holidays, journals and stickies, default start time and duration, sunrise and sunset times, and more.